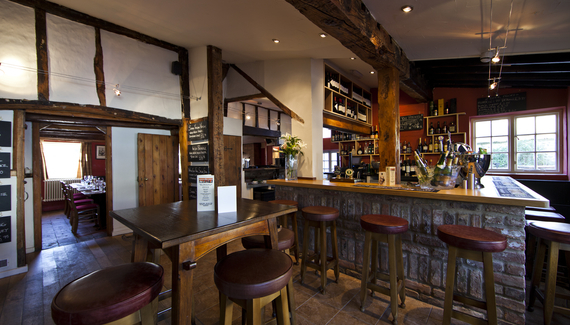 Suntrap courtyard in summer, log fires in winter, and warm stylish décor. Field mushroom risotto, bitter lemon posset - all is delicious! The good people of Marton have got back their lovely local. A gleaming coat of whitewash invites you in and the light lofty bar with its stunning cruck-barn ceiling tells of 16th-century origins. There's a very pleasing mix of oak settles and smart velvet chairs, open fires, polished wood floors and ruby-red walls. Tuck into twice-baked blue cheese soufflé with cauliflower purée or more substantially, confit shoulder of lamb. Veggies are well-served: try autumn field mushroom risotto or roast cherry vine tomato and sweet basil penne. Puds are a treat – bitter lemon posset with chantilly cream; apple and berry crumble with proper custard. 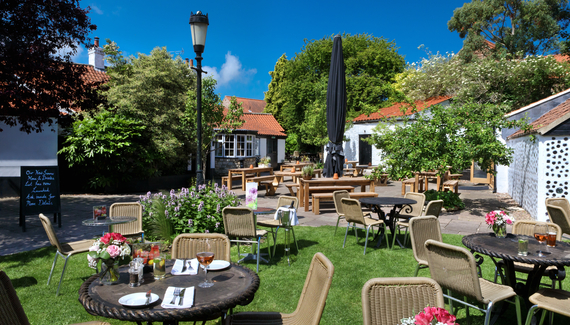 In summer, a stylish courtyard at the back is a suntrap – a fab spot for a glass of something chilled. The Punch Bowl is also within easy access of many wonderful walks….such as The Staveley Circle Walk. This circular walk is the ideal nature observers treat on a sunny afternoon! 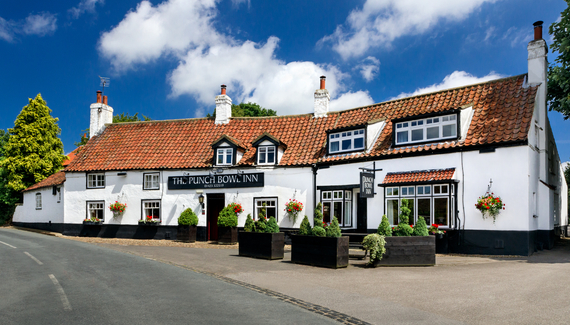 Have you visited The Punch Bowl Inn? Lunch and early evening from £7. 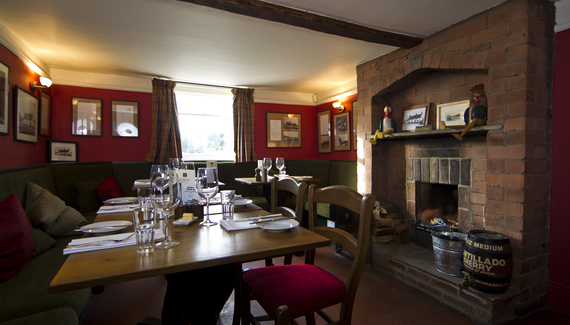 Sunday lunch 2 courses £19.95, 3 courses £24.95.